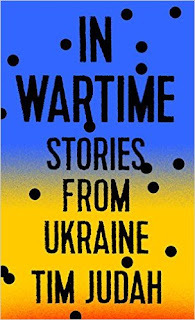 Mr. Judah's collection of stories from various locations throughout the Ukraine gives the reader an unusual insight into the conflict there in the aftermath of the Russian takeover of the Crimea. With interviews of civilians and soldiers on both sides of the lines, Judah uses these vignettes to tell the larger story of the corruption-riddled Ukraine attempting to hold its own against the Russians and their propaganda machine. For someone like myself, who can't understand how Ukrainians could be so indifferent to the fate of their country, the backstory is important. Unfulfilled promises of independence, unfulfilled potential due to corruption, unfulfilled futures linked to a poor understanding of the past... all these have contributed to the tragedy of the Ukraine. 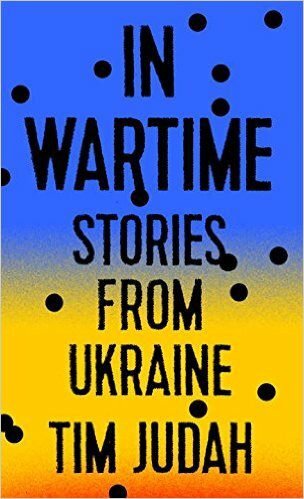 Whether you are curious about the war in the Ukraine or just want to learn about the human tragedy of war, Judah's excellent writing, his ability to find great subjects and his insights make this a must-read. True, Judah makes lots of references to the Yugoslavian Civil War (which aren't always relevant) and some of the photos could use better captioning, but none of this detracts from the book as a whole. Includes maps, which are essential to understanding the full story.